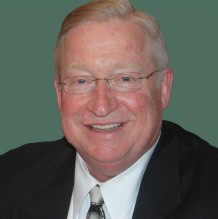 Jerry Shiveley is the former Executive Director & Chief Executive Officer at Montgomery County Intermediate Unit (MCIU). With an annual budget of over $135 million, the Montgomery County Intermediate Unit (MCIU) is a suburban and urban regional educational service agency in the Philadelphia suburbs serving 22 school districts and over 150 non public schools with over 145,000 students in in Montgomery County. Now that he is retired, Jerry has had the opportunity to dedicate much of his time towards one of his passions: travel. Jerry Shiveley has a passion for traveling and immersing himself in the diverse cultures that exist around the globe. He relishes the opportunity to explore new places, experience unique cultures, and meet people from different walks of life. He especially loves doing this when the location involves sitting on a warm beach, overlooking the ocean with a cup of coffee in his hand. Before his retirement, much of Jerry Shiveley’s travel was for work. He attended annual education conferences, which took place all across the United States, and was invited by a doctor of longevity and anti aging to several medical conferences in Sao Paulo, Brazil. Now that he is retired, Jerry has the opportunity to travel much more — without having to worry about work and a strict schedule. Instead, he can devote his time to trying new restaurants, seeing the local sights, learning about the area, visiting tourist attractions, and simply relaxing. Jerry Shiveley frequently travels in the company of his wife, Susan. While they do not always have the same tastes in locations — he prefers beaches and she prefers forests — the two are able to compromise and find destinations that work for both of them or take separate trips, when desirable. In addition to his passion for travel, Jerry is interested in health, wellness, and longevity. As a young professional, he attended medical conferences in São Paulo, sparking his lifelong interest in health and wellness. These conferences served to guide his philosophy on medicine and health, convincing him of the importance of doing your own research and not immediately buying into the popular solution as promoted by Big Pharma. Furthermore, Jerry Shiveley looks for doctors who take a holistic approach to medicine, looking at the whole person rather than their individual parts.